Prescription drug abuse is on the rise in the United States, and more teens than ever are dealing with the dangers associated with it. Opioid overdose and death are a real threat for teens experimenting with drugs, so parents must take every opportunity to talk with their children about drug abuse. 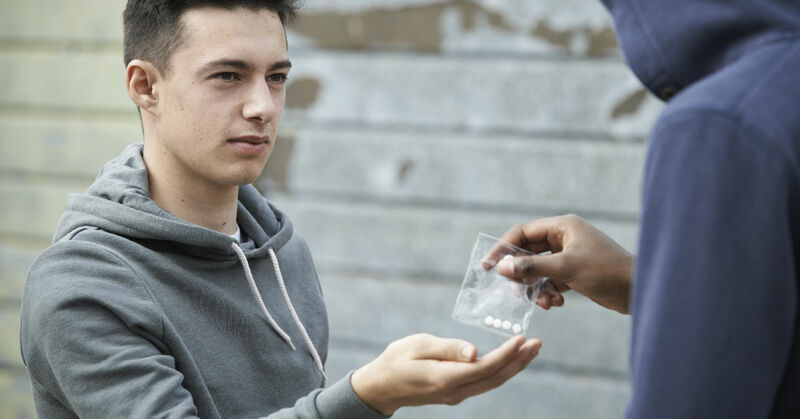 Many teens think about dangerous drugs as the illegal street drugs like heroin or cocaine, but prescription drug abuse is not only dangerous but easier for teens to get started on. Opioids are pain relief medications and work by effectively reducing the intensity of pain signals once they reach the brain. They also have an effect on areas of the brain that control emotions, which helps the patient deal with painful stimuli. Some of the more common medications that are opioids include Vicodin, OxyContin, Percocet, Kadian, Codeine and others. Because these drugs are commonly prescribed to patients who have chronic pain or are recovering from injury, accident or surgery, they are easy for teens to find around the house. If opioids are taken just as the doctor prescribes, they are very effective in helping patients to heal comfortably and there is no risk of addiction or overdose. However, when opioids are taken in amounts outside of what was prescribed by people for whom the medicine was not given to, it puts them at risk of addiction, overdose, and possibly even death. Opioids are very strong and must be taken precisely and in the exact doses. Just one large dose of opioids could mean death for someone. According to the National Institute on Drug Abuse, total number of deaths from prescription drug overdoses more than doubled from 2001 to 2013. In 2013, nearly 16,000 Americans died from prescription opioid pain relievers, more than heroin or cocaine overdose deaths. Men are more likely to die of a prescription drug overdose than women, and the use of opioids is increasing in teens across the nation. Abuse of opioids by teen can happen in several different ways. Generally, teens raid the medicine cabinets of family and friends homes, using someone else’s prescription. Teens can take the pills traditionally or crush them and snort them. The result is a pleasant high due to the chemical reactions of the medicine with the brain receptors. Pain is diminished and pleasure centers are activated, creating euphoria. Teens are at a great risk of drug overdose because they are usually not educated about the dangers of taking such medicines. Mixing opioids with alcohol or other drugs is especially dangerous and can lead to disability and even death. A rising trend among teens is to hold “pill parties” where everyone brings medicines from home, like opioids, and shares them. Most teens don’t know what they are ingesting, increasing the risk of a severe overdose or even death. Drug overdose deaths due to opioids has increased over the last decade, prompting the government to act on preventing and treating opioid use problems. Some of the groundbreaking initiatives that many believe may have a big impact include helping health professionals make better decision on pain medication prescriptions, increase training for safe opioid guidelines, boost prescription drug monitoring programs, invest in state-level prevention programs and more. Parents can talk to their teens about opioid abuse and stress the dangers of using such powerful medicines outside of the proper prescribed methods. Other warnings from parents to teens should include the advice to never accept pills from peers and never mix pills and alcohol. Only with open communication, drug abuse education and tighter controls on prescription opioids can parents, doctors, lawmakers and more hope to reduce the risk of teen opioid abuse, drug addictions and fatalities.